A Woman’s Work is Never Done, and There is an App for That. 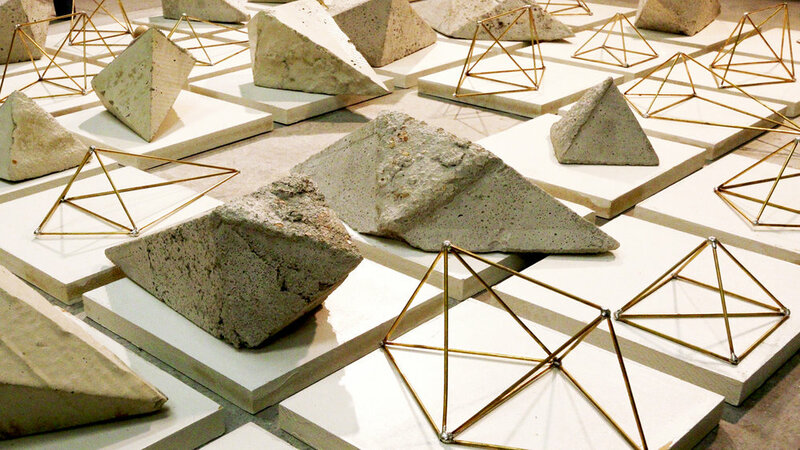 By Kate Patterson / Last weekend, we took a family trip to Oakland to check out a show by the Marin-based artist Sawyer Rose. We were so lucky to have Sawyer, who is warm, gregarious and incredibly articulate, treat us to an intimate walkthrough of her show. 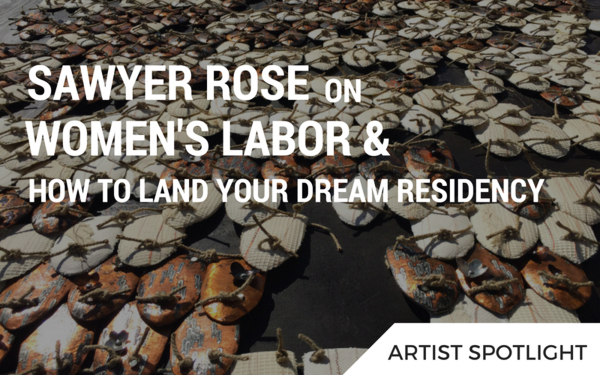 By Amyra Soriano / Through her newest exhibition, Force of Nature, Bay Area sculptor and social practice artist Sawyer Rose visualizes the labor that women perform daily. 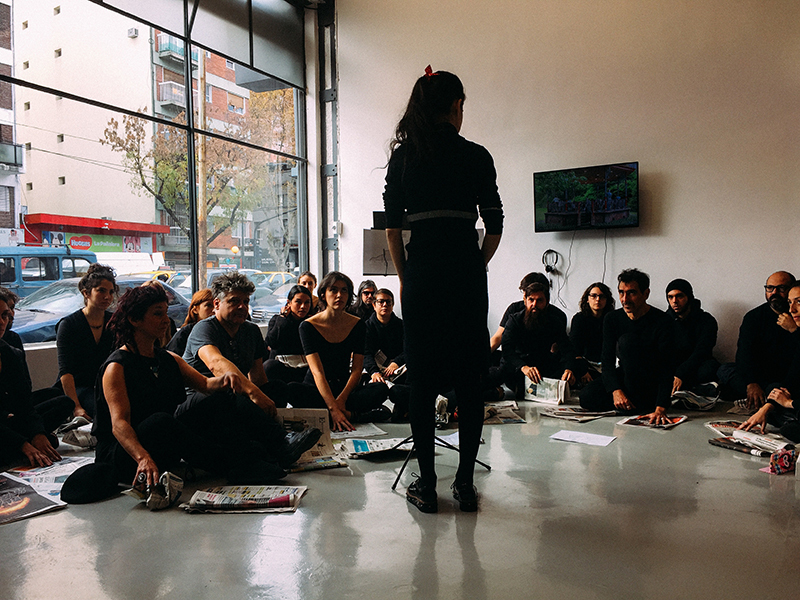 The exhibition is a part of her ongoing series, The Carrying Stones Project, which examines gendered labor inequality. 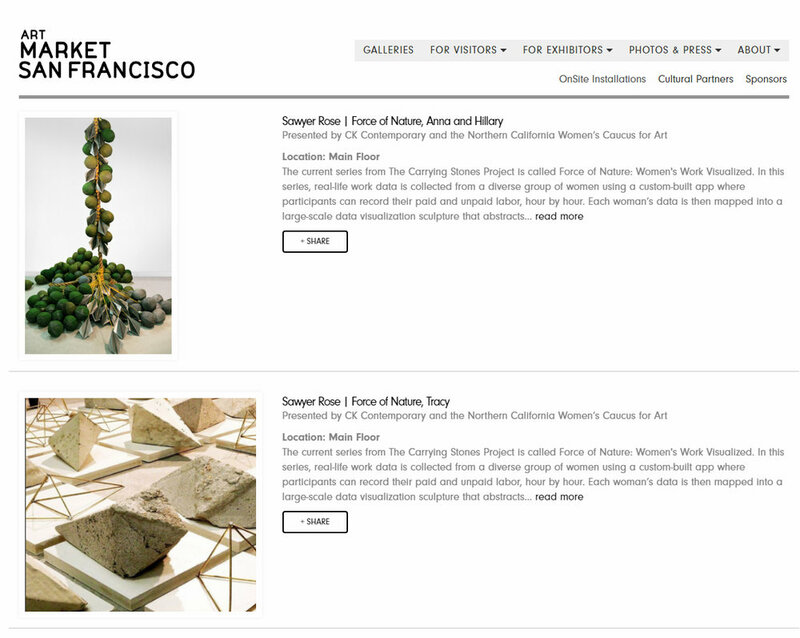 Last year, Rose launched the series with Ties That Bind, a sculpture and performance art show, at Fort Mason. Cooking, cleaning, childcare, and eldercare responsibilities often still default to women, which keeps them from advancing at work and in society. Volunteerism, which can be seen as caretaking of the larger community, also falls disproportionately on women. 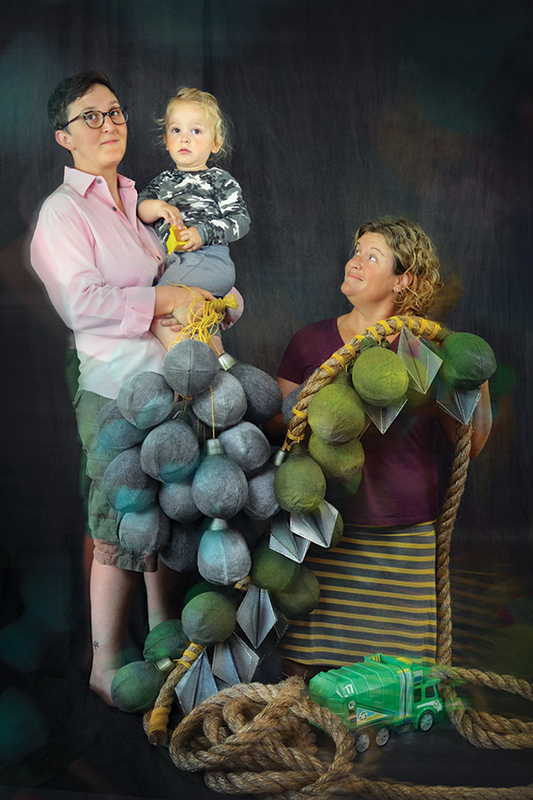 In The Carrying Stones Project, K. Sawyer Rose ’96 explores the “double burden” of women’s work inside and outside the home—and how little time women have left for themselves. Artwork Archive / Noticing a trend of disproportionate household work among her peers, Sawyer Rose set out to shine a light on women’s unpaid labor through her artwork. From that, an incredible project blossomed. Marin Independent Journal: Sawyer Rose works in her Fairfax studio on her lightboxes featuring California native plants, trees, birds and butterflies. Some of her works are on display at the Marin Headlands Visitors Center through April. 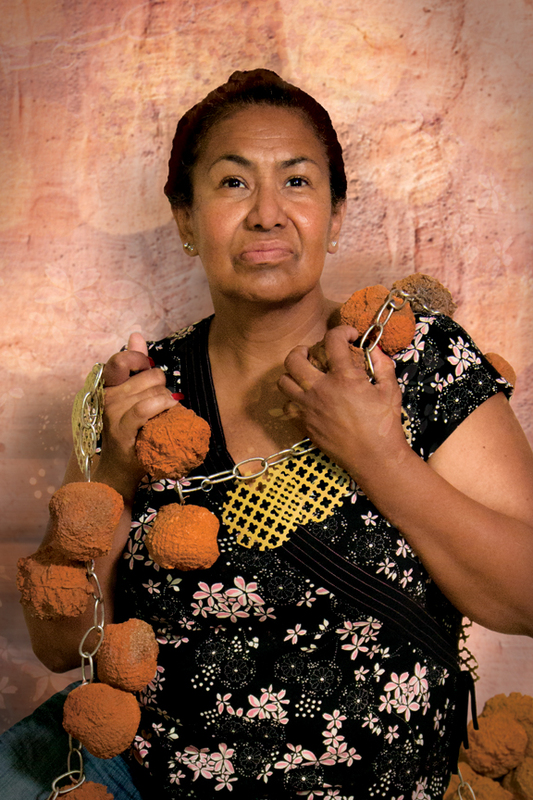 Inspired to explore the “double burden” carried by women who work at paid jobs and are also responsible for domestic labor at home, Bay Area artist Sawyer Rose will debut The Carrying Stones project at Fort Mason Center for Arts & Culture on Friday, September 23, 2016.